Patent Prosecution Associate (Junior) – Law Firm – New York, N.Y.
Amster, Rothstein & Ebenstein LLP is seeking a Patent Prosecution Associate in the Mechanical or Technical Arts. Engineering, science or technical degree is required. Since 1953, our firm has focused exclusively on all facets of intellectual property law, representing clients domestically and internationally, in industries from consumer electronics to financial services, from apparel and retailing to semiconductors and MEMS, life sciences and medical devices. To apply, email us at: sfield@arelaw.com. Please include writing samples with your resume. Steptoe, an AmLaw 100 firm, seeks a highly qualified intellectual property litigation attorney with a minimum of 2 years of experience to join its DC, Chicago, or New York office. Strong academic credentials, as well as outstanding organizational, interpersonal, and writing skills are required. Steptoe is an equal opportunity employer EOE/AA/Minority/Female/Disability/Veteran. All inquiries will be held in strict confidence. We strongly encourage qualified women, minorities, Veterans, individuals with disabilities, and members of the LGBTQ+ community to apply. To apply, please visit this website: http://apply.steptoe.com/viRecruitSelfApply/ReDefault.aspx?FilterREID=5&FilterJobCategoryID=2&FilterJobID=114. Armstrong Teasdale is seeking an IP Associate to join us as a member of the Chemical and Biotechnology Practice Area in the representation of scientists, universities and other research institutions, start-up companies, and established companies. Clients are active in a variety of disciplines including: pharmaceuticals, biologics, nutritionals, chemicals, agricultural, diagnostics, and medical devices. The candidate should expect to assist with the preparation and prosecution of patent applications, patentability and clearance opinions, patent estate management, licensing and enforcement of patents for a diverse clientele. Admission into a state bar and registration with the U.S. Patent and Trademark Office are preferred. Particularly interested in applicants with a Masters or PhD in Chemistry. To apply, please visit this website: http://www.armstrongteasdale.com/EmploymentOpportunities/. Include your cover letter, resume, transcript and writing sample. 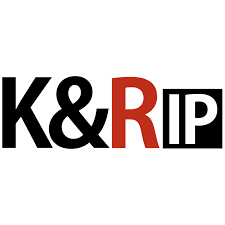 Klintworth & Rozenblat IP, a thirteen lawyer/agent top-notch IP law firm, is seeking highly-qualified, experienced patent and trademark attorneys and agents having a minimum of five years of experience and portable books of business of $350,000 or more. The firm offers high compensation, the ability to telecommute if desired, autonomy and flexibility, a stress-free environment, and collegiality. To apply, please email tklintworth@kandrip.com. Please provide a CV with your submission as well as your estimated portable business. Steptoe, an AmLaw 100 firm, seeks a highly qualified intellectual property litigation attorney with a minimum of 2 years of experience to join its DC, Chicago, New York, or San Francisco office. Strong academic credentials, as well as outstanding organizational, interpersonal, and writing skills are required. Apply online by visiting this link: http://apply.steptoe.com/viRecruitSelfApply/ReDefault.aspx?FilterREID=5&FilterJobCategoryID=2&FilterJobID=114. Pierce Bainbridge, the fastest growing elite law firm in the history of the world (that is not hyperbole) seeks Electrical Engineering/Computer Science Patent Litigation Associate to join its rapidly growing IP practice in either New York, Los Angeles, DC, or Boston. Ideal candidates will have 3-5 years of experience in patent litigation with a degree in electrical engineering or computer science. Built from the ground up to be relentless, precise, agile, resilient and collaborative, Pierce Bainbridge employs cutting-edge technologies and a unique, next-generation institutional structure that sets it far apart from the traditional, 20th century law firms of the past. We offer associates the opportunity to work in a forward-looking, progressive, collegial and non-hierarchical environment that is without comparison among the nation’s leading law firms. We use Slack, we don’t impose artificial deadlines, we don’t require formal office attire and, most importantly, we win cases and have fun doing so. Apply by emailing us at: resumes@piercebainbridge.com. Steptoe, an AmLaw 100 firm, seeks a Life Sciences Patent Litigation Associate to join its rapidly growing IP practice in either New York, DC, San Francisco, or Chicago. Ideal candidates will have 1-4 years of experience in life sciences/pharmaceutical patent litigation with a bachelor's degree or an advanced degree in biology, molecular biology, immunology, pharmacology, biochemistry, or chemistry. Strong academic credentials, as well as outstanding organizational, interpersonal, and writing skills, are required. To apply, please visit this website: http://apply.steptoe.com/viRecruitSelfApply/ReDefault.aspx?FilterREID=5&FilterJobCategoryID=2&FilterJobID=14. Steptoe, an AmLaw 100 firm, seeks an Electrical Engineering/Computer Science Patent Litigation Associate to join its rapidly growing IP practice in either New York, DC, San Francisco, or Chicago. Ideal candidates will have 1-4 years of experience in patent litigation (District Court and/or International Trade Commission) with a degree in electrical engineering or computer science. Strong academic credentials, as well as outstanding organizational, interpersonal, and writing skills, are required. To apply, please visit this website: http://apply.steptoe.com/viRecruitSelfApply/ReDefault.aspx?FilterREID=5&FilterJobCategoryID=2&FilterJobID=56. McNeill Baur PLLC, a certified woman-owned biotech and pharma-focused IP boutique, has a unique opportunity for a life science and/or small molecule-focused patent agent with at least 5 years of relevant experience. Primary responsibilities will include drafting applications, responses to office actions for US and foreign applications, and supporting the firm’s attorneys in the technical aspects of opinions. Successful candidates must be admitted to practice before the USPTO and capable of working independently. An advanced degree from a superior institution is strongly preferred. We will consider candidates for both part-time and full-time positions. The successful candidate will support partners in multiple locations and must be comfortable working independently. There is no work origination or business development requirement in this position. This is a unique opportunity to work remotely on interesting and challenging matters, with a firm and attorneys that are nationally recognized leaders in life sciences patent prosecution, while maintaining desirable a life/work balance. The firm offers a competitive salary, health insurance, and a 401K plan with generous matching component. McNeill Baur has been ranked as a nationally recommended firm for patent prosecution for multiple years and also was recognized as the 2017 IP Firm to Watch by LMG Life Sciences. The firm was also named IP Star in 2016-2018 by Managing Intellectual Property (MIP). Please submit resume, cover letter, salary requirements, desired hours per year, and a portfolio listing US patents or published applications that you have drafted and/or prosecuted to careers@mcneillbaur.com. McNeill Baur PLLC, a certified woman-owned biotech and pharma-focused IP boutique, has a unique opportunity for a patent associate or counsel specializing in life science patent preparation and prosecution with at least 5 years of relevant experience. Experience with small molecules is preferred. Primary responsibilities will include drafting applications, preparing responses to office actions for US and foreign applications, and preparing opinions, and other counseling projects. Practical Law US is seeking an experienced patent litigation attorney to work on patent resources for our Intellectual Property & Technology Service. Conceptualize, draft and edit original legal know-how materials, including practice notes, annotated standard-form documents and transactional checklists for online and print publication. Establish and maintain relationships with external law firm contributors. Collaborate with sales and marketing teams to plan and lead product demonstrations, webinars and in-person continuing legal education seminars for current and potential subscribers. Assist with the development of special projects undertaken by Thomson Reuters and Practical Law. Organize and conduct webinars on topics of interest to attorneys practicing in the patent area, and assist with marketing initiatives and sales demonstrations. Write and edit content for Practical Law's companion magazine, Practical Law The Journal. Develop relationships with law firm attorneys, in-house counsel and industry groups to ensure that the patent litigation content is topical and meets their needs. At least eight years’ experience working as a patent litigator in a law firm, with expertise in patent and other intellectual property law and practice. A good understanding of the needs and priorities of law firm and in-house counsel and the legal market. the ability to write about complex legal issues clearly and simply. Enthusiasm and ambition, with a desire to improve the efficiency of legal services. preparing for and litigating at trial. Patent prosecution and strategic counseling. To apply, please send your resume and a paragraph summary of your relevant experience for this position to: brian.gross@thomsonreuters.com. 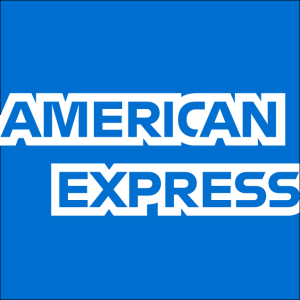 The General Counsel’s Organization of American Express is seeking a hard-working, highly-motivated and creative patent attorney. The attorney will join the Intellectual Property Law and Strategy (IPLS) practice group as Associate Counsel - Patents, and report to the Chief IP Counsel. The IPLS is the legal function that handles intellectual property issues across the company world-wide, including patent filing and prosecution, patent litigation and intellectual property due diligence to support M&A and other commercial transactions. The attorney in this position will work with clients across multiple functional areas to strategically protect the company’s intellectual property interests. The work will include client counseling; managing patent preparation and prosecution; rendering legal opinions with respect to patentability, validity and freedom to operate; advising on intellectual property aspects of agreements; and, as needed, supporting patent litigation, due diligence reviews and intellectual property related transactional work. Workplace Flexibility: Potential to work remotely part of the time based on current projects and team needs. Visa Sponsorship: Employment eligibility to work with American Express in the U.S. is required as the company will not pursue visa sponsorship for this position. Delivering extraordinary experiences to its customers and employees every day. The success of American Express since its inception has been defined by its ability to innovate, evolve, disrupt, and take risks. What has remained constant throughout this history of transformation is our dedication to our customers, to our employees, and to the values on which American Express was built: integrity, quality, respect, and community. Our open, creative, and collaborative culture is a big part of why we regularly win best workplace awards all over the world. So if you’re ready to take on a challenge and make an impact, you owe it to yourself to launch or grow your career here. To apply, please visit this website: https://jobs.americanexpress.com/careers/jobs/18005244?lang=en-us. Tully Rinckey PLLC has been on the Inc. 5000 list of America’s fastest-growing private companies eight times. The firm is currently looking to add IP Partners in its 10 offices across the country. In addition, the firm is interested in hearing from IP Partners in markets where the firm does not already have an office. This is an opportunity to grow your existing practice with the support of a full service marketing department, highly skilled business development team, public relations and support staff with proven track records. This allows firm attorneys to focus solely on the practice of law while an innovative management team navigates the challenges of the business side of the law on their behalf. The firm is seeking IP Partners with at least seven or more years of experience in Patent, Trademark, and/or Copyright litigation. Integral to success in this role is the desire to procure, cultivate, and sustain his/her client base from their already existing referral network and be driven to grow their network through both firm resources and individual business development. Ideal candidates will have at least a $300,000 book of business. Competitive compensation, employer matched 401(k), paid holidays, vacation and sick time a comprehensive benefits package to include six health insurance options, three dental plans, vision, life, short term and long term disability insurance, and a 24/7 concierge telemedicine service. Please submit your resume for consideration or email hiring@tullylegal.com for more information. Patent Associate – Small Law Firm – Shrewsbury, N.J.
Moser Taboada is seeking a Polymer Chemist Patent Associate in its New Jersey location with at least 2 years of experience practicing in the chemical arts. Experience in chemical patent preparation and prosecution is required. However, experience may have been gained practicing as an agent. We offer a competitive salary, performance bonus, and benefits, in a wonderful suburban setting with access to the shore and New York City. Preparing and prosecuting patent applications with the primary focus on the protection of inventions relating to the chemical arts such as polymer, elastomer, and latex compositions. Perform landscape analysis, freedom-to-operate investigations, and patentability searches under the guidance of experienced patent professionals. International patent prosecution experience, design patent, and mechanical background may be helpful. Bachelor’s degree in chemistry, chemical engineering, or relevant scientific experience. At least two years preparing and prosecuting chemical patent applications. Registered to practice before the USPTO. J.D. degree from an accredited law school, and admission to at least one U.S. State bar. Ability to work in a team and interact with colleagues. Patent Associate – Large Law Firm – Long Island, N.Y. The Farrell Law Firm, P.C. is seeking a Patent Attorney who will be responsible for drafting and prosecuting patent applications in the electrical, computer and semiconductor arts, as well as preparing patentability, invalidity, infringement and freedom to operate analyses. The successful candidate must have at least a B.S. degree in Electrical or Computer Engineering and excellent communication skills. It is desirable for the candidate to have at least 3 years of patent prosecution experience in a law firm and to be registered to practice before the U.S. Patent and Trademark Office. To apply, please email genmail@farrelliplaw.com. 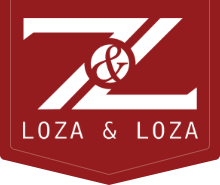 Loza & Loza, LLP is seeking a Trademark/IP Litigation Attorney. • At least 5+ years of experience specifically in US/foreign trademark prosecution (search, filings and responses to office actions), domain name disputes, TTAB proceedings, trademark/patent litigation, licensing, and cease and desist letters. • IP litigation experience in federal court - trademark, patent, copyright and/or corporate/contracts. • Large law firm or IP boutique law firm experience required. • Proven record of client development, must have at least a few portable clients as proof. • At least one state bar license required. If you are interested in working with us, please send a cover letter and resume to recruiting@lozaip.com. Loza & Loza LLP, a fast growing and dynamic intellectual property practice, is seeking an EE/software patent attorney with at least 4 years of experience in patent prosecution. Firm Culture: Our firm is made up of experienced, tech-savvy, entrepreneurial attorneys, and we hope to add similar attorneys to our team. We have a cohesive group of attorneys with unsurpassed technical expertise and work quality. Attorneys set their own work schedule and hourly rate(s), and there is no minimum hourly requirement. This is a great opportunity for those who pride themselves in providing excellent work quality and client service. Compensation: Our firm has one of the most generous compensation structures in the industry, matching or exceeding large firm compensation. Additionally, we have a yearly profit-sharing plan that rewards client origination. Electrical Engineering or Software/Computer Science Bachelor/Master Degree. At least 4+ years of patent preparation, prosecution and consulting experience. Strong grasp of complex technologies (e.g., you are the attorney your colleagues turn to for technically difficult/complex cases). Large law firm or boutique patent law firm experience required. Proven track record of developing clients. USPTO patent bar registration and at least one state bar license and good standing is required. The ideal candidate is a self-starter and proactive problem solver who can work autonomously and can handle significant client contact. If you are interested in working with us, please send a cover letter, resume, and two writing samples (office action and published/patented application) to recruiting@lozaip.com. Patent Attorney – Non-Profit – New York, N.Y. Initiatives for Medicines, Access and Knowledge is seeking a Patent Attorney. The patent system was designed to balance the invention of medicines and the dissemination of new treatments to society. The current patent system disproportionately represents and upholds private interests over the public good. This can and must change. Such change should be informed by patients' needs. Armed with the best evidence, our lawyers, scientists and health experts are giving the public a voice in a system that impacts their health and lives. Working with the co-founders and relevant staff members, lead the development of legal strategy focused on engaging stakeholders including goals, timelines, recommended approaches and action items, risks and opportunities analysis, etc. Ad hoc support as needed across the organization including reviewing materials for legal accuracy, providing input into Organizational Strategy, Development, Communications, Media Relations, etc. as well as administrative compliance and team engagement. This is a full time position based in NYC requiring 10%-25% travel. Please send resume, cover letter, salary requirements and where you heard about the position to jobs@i-mak.org with Patent Attorney in the subject line. Loza & Loza LLP, a fast growing, and dynamic intellectual property practice is seeking a trademark/IP litigation attorney with a proven record of client development who is interested in a lateral move. Firm Culture: Our firm is made up of experienced, tech-savvy, and entrepreneurial attorneys, and we hope to add similar attorneys to our team. We have a cohesive group of attorneys with unsurpassed technical expertise and work quality. Attorneys set their own work schedule and hourly rate(s), and there is no minimum hourly requirement. This is a great opportunity for those who pride themselves in providing excellent work quality and client service. Compensation: Our firm has one of the most generous compensation structures in the industry, matching or exceeding large firm compensation for attorneys who are self-sustaining. Additionally, we have a yearly profit-sharing plan that rewards client origination. Qualifications: We are looking for an IP attorney who has a proven record of client development with at least 5 years of experience specifically in US/foreign trademark prosecution (search, filings and responses to office actions), domain name disputes, TTAB proceedings, trademark litigation, trademark licensing, and cease and desist letters. Attorney must have a portable book of business and growing IP practice. IP litigation experience (federal court) in patent and trademark would be valued. USPTO Patent Bar registration and at least one state bar license required. Relocation not required. Telecommuting and flexible hours available. We will consider qualified candidates in any part of the U.S.
Loza & Loza LLP, a fast-growing and dynamic intellectual property practice, is seeking a biotech/pharmaceutical patent attorney with a proven record of client development who is interested in a lateral move. Qualifications: We are looking for a patent attorney located in any major US city with a proven record of client development and at least 6 years of experience in patent preparation, prosecution, and counseling. Knowledge of or experience in pharmaceutical products is preferred. The ideal candidate is able to develop and manage clients and is a self-starter and proactive problem solver who can work autonomously and can handle significant client contact. USPTO patent bar registration and at least one state bar license and good standing is required. To apply, please email recruiting@lozaip.com.